At Botanica we love nothing more than creating stunning, bespoke wedding flowers and perfectly styling your special day. With a keen eye for detail, we create floral arrangements that are unique, fresh and beautiful. Providing excellent service and delivering exactly what our brides want is of utmost importance to us. Whether your style is elegant, rustic, vintage or something completely unique to you, we love a challenge and go the extra mile for every client. You may already have your own ideas; let us transform them into reality. If you can’t decide on a theme or colour scheme, or just don’t know where to start, let our experienced team help you. We can guide you through the process, and work with you to conceptualise and design the perfect style for your wedding, no matter how or big or small. As the name suggests, at Botanica we are inspired by nature and the way in which flowers are portrayed in their natural form. We love loose, romantic arrangements, making use of seasonal and local flowers wherever possible. We work from a home studio in central Cape Town, but plan and deliver beautiful weddings at venues all over the Western Cape. We have a number of unique decor hire items available and can assist in all other decor sourcing. Please contact us for a consultation, and join the ever-growing bunch of happy Botanica brides. 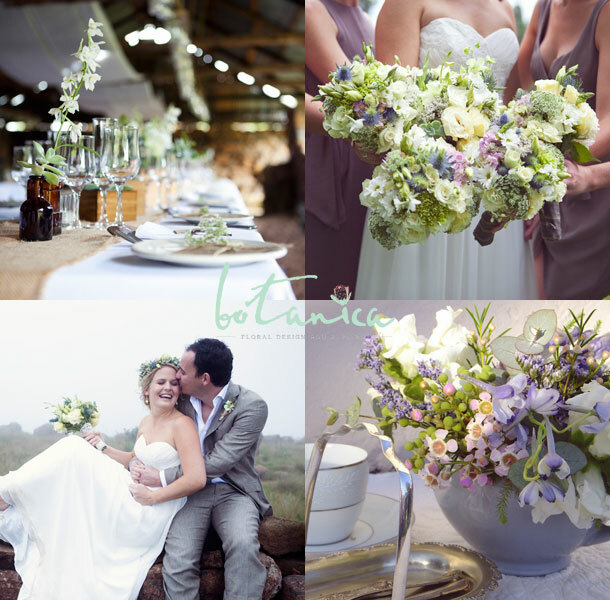 To book Botanica Flowers telephone Rowenna and Chloe on +27 (0)84 851-3545 or +27 (0)74 036-7392. Alternatively for further details or to send an enquiry visit Botanica Flowers. 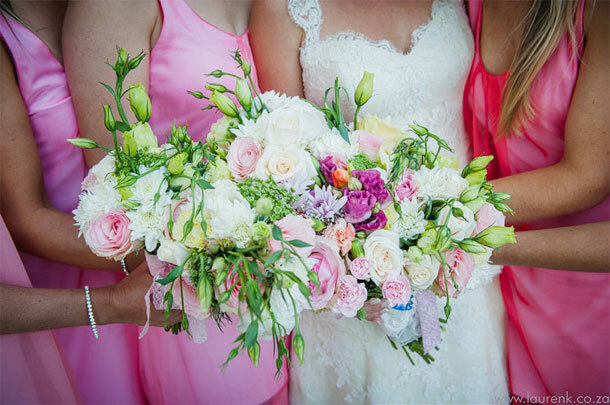 You can’t have a wedding without flowers!